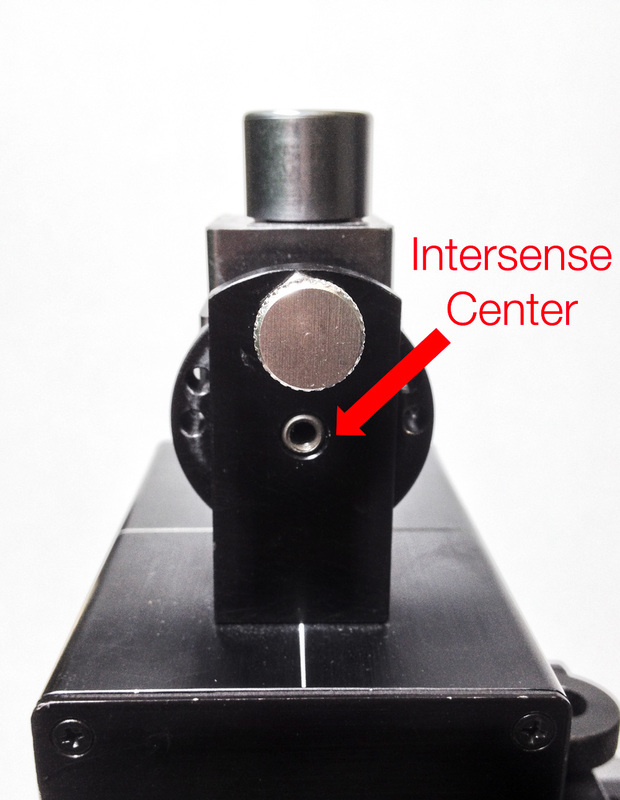 When mounting the Airtrack or Intersense IS1200 sensors, the position of the sensors will vary depending on your mounting points. 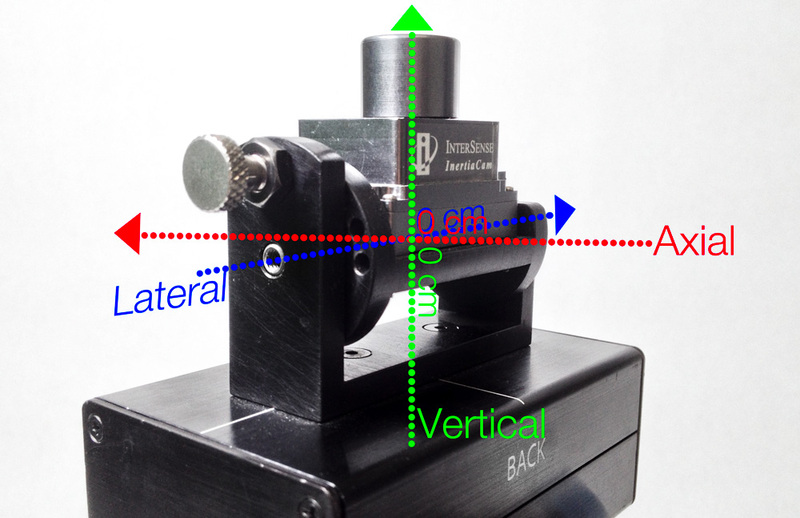 The Airtrack has a “Front” and a “Top” and its position in relation to the camera sensor is negligible. The Intersense IS1200 is different. 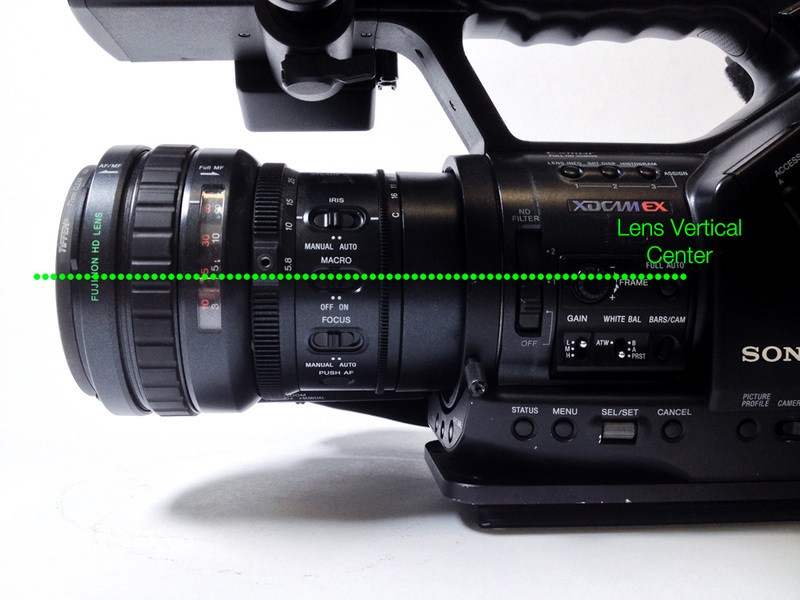 When mounting the Intersense IS1200, use a tape measure to physically measure the position of the IS1200 to the camera sensor. 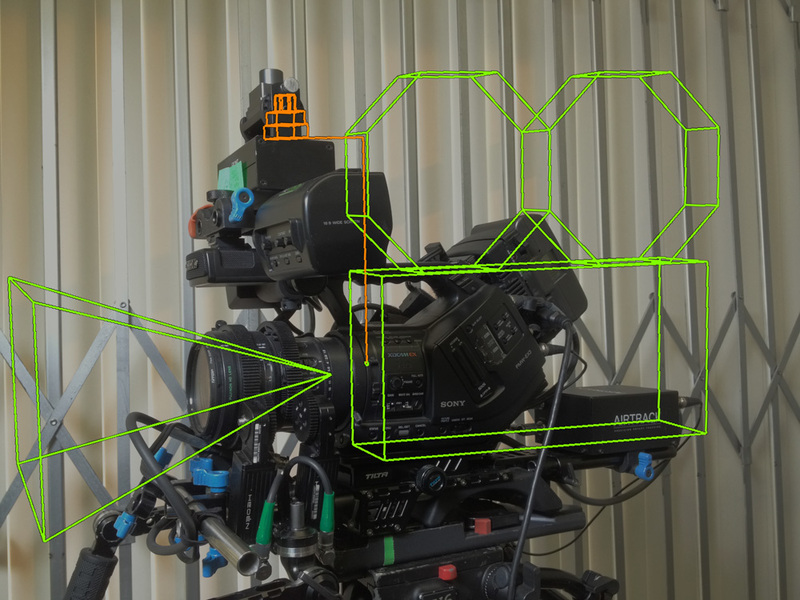 The offsets are measured from the Intersense IS1200 to the center of the camera’s sensor. In other words, zero offset is in the center of the IS1200. 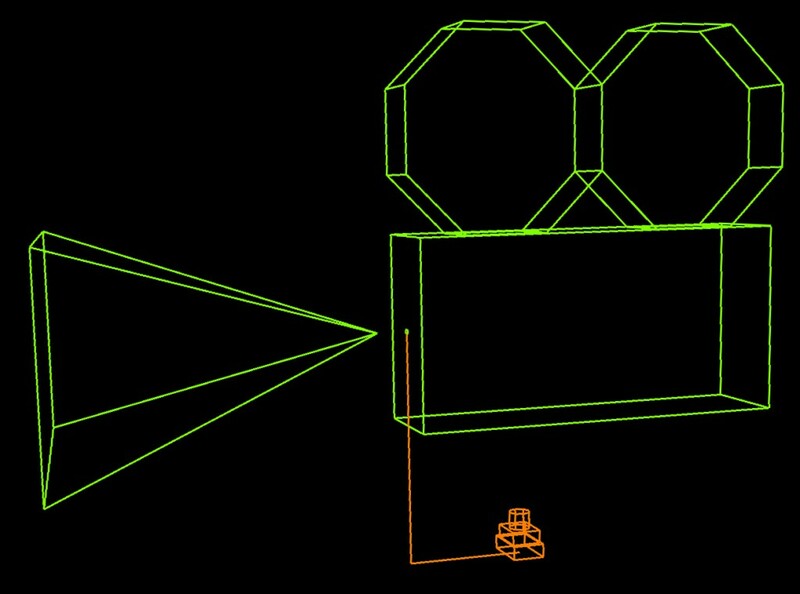 The goal is to indicate in the virtual camera exactly where the IS1200 VisTracker is in relation to the cinema camera. The IS1200 mounting block has a pivot mount and registration lines to measure all offsets from. The reference for Axial Offsets on the camera is the actual sensor plane. 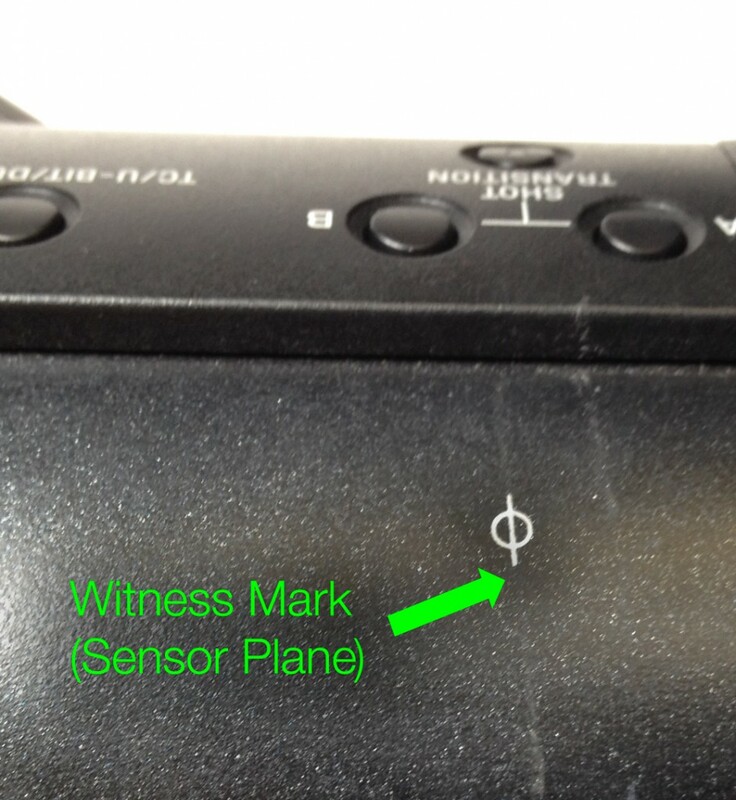 This is marked by the “witness mark”, a symbol that is made up of a circle with a vertical line across. 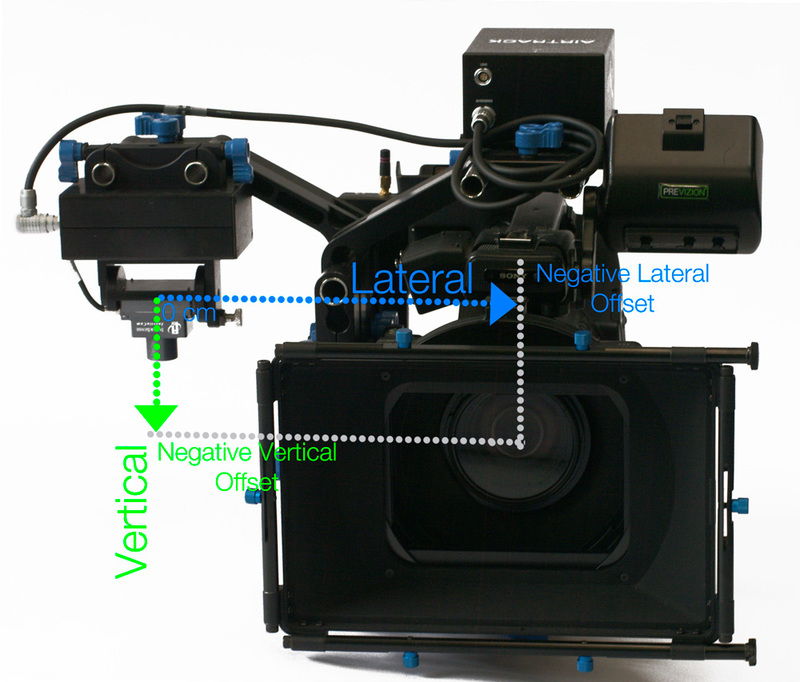 The reference for Vertical Offset is the center of the lens. 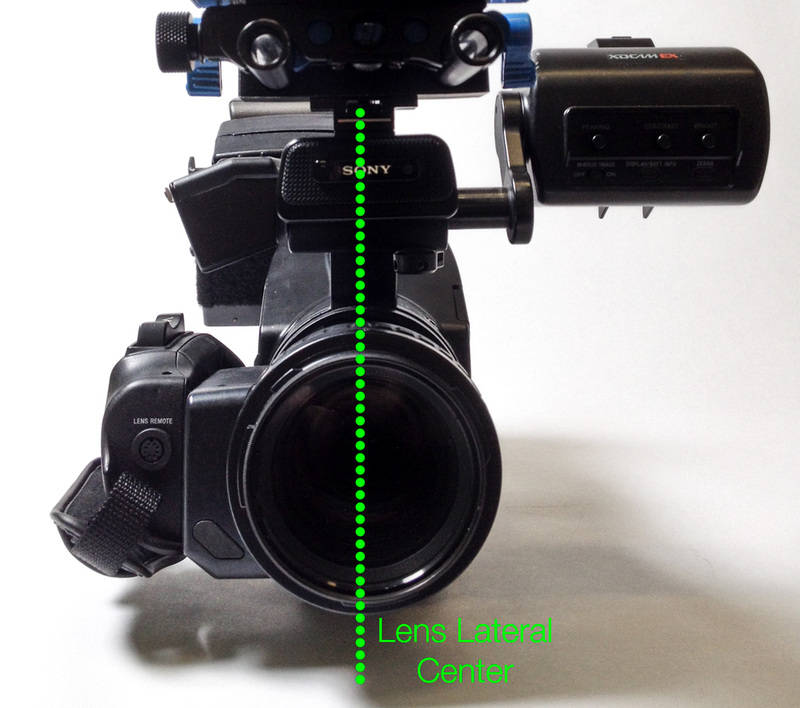 And the reference for Lateral Offset is the lateral center of the lens. 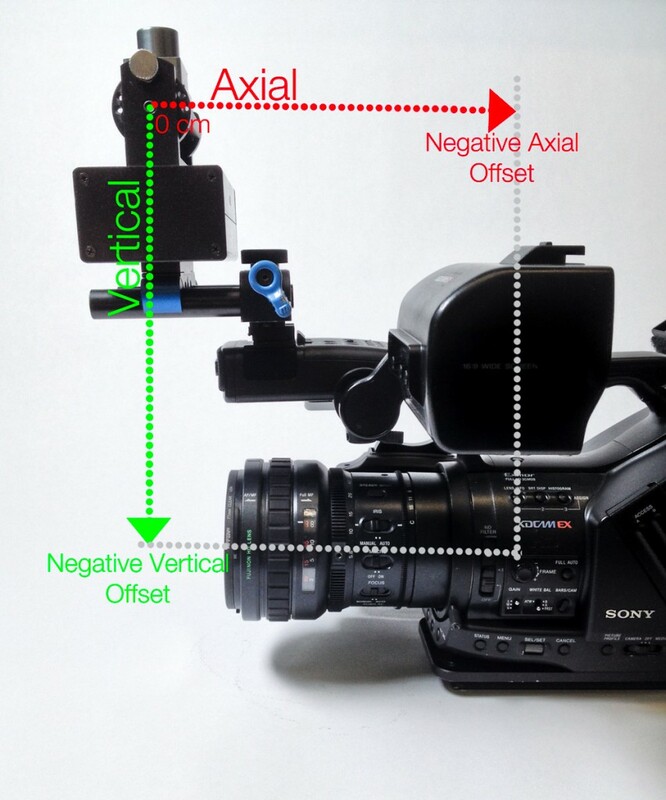 If the IS1200 is on top of the camera (vertical) and in front of the sensor (axial), the values for vertical and axial will be negative numbers. Always use Observer View to verify that the offsets are correct. 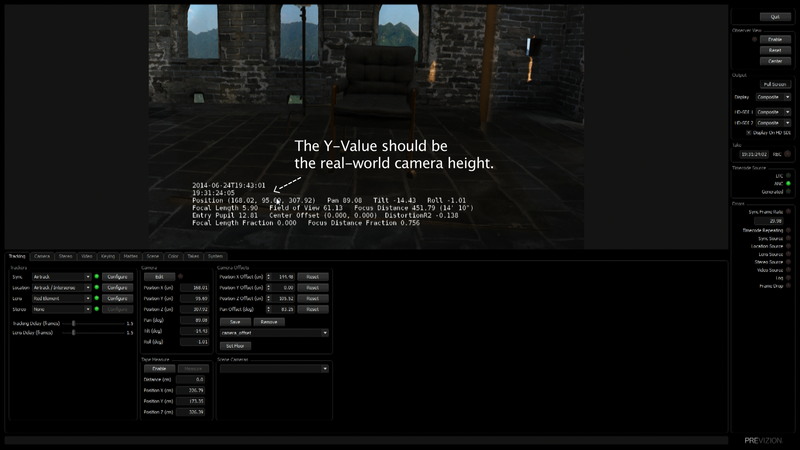 If, in Previzion, the Observer View (Perspective Camera) is showing the sensor in the incorrect position, check if your values were entered negative or not. 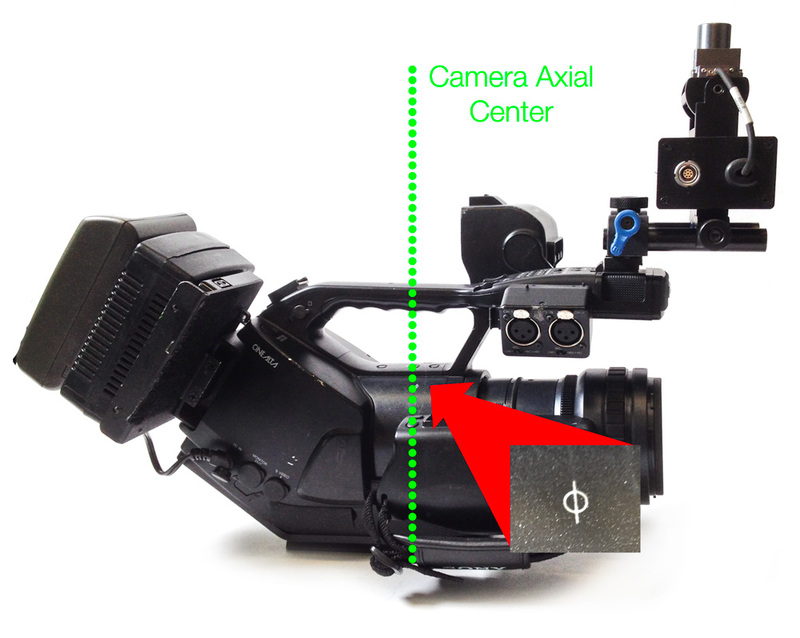 When the Intersense IS1200 is to the side of the camera, make sure to know which side the sensor is on. 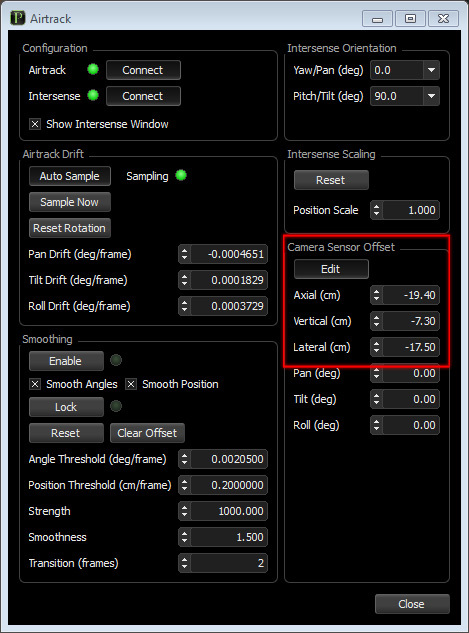 When the sensor is to the right (from the perspective) of the camera, the values are positive. 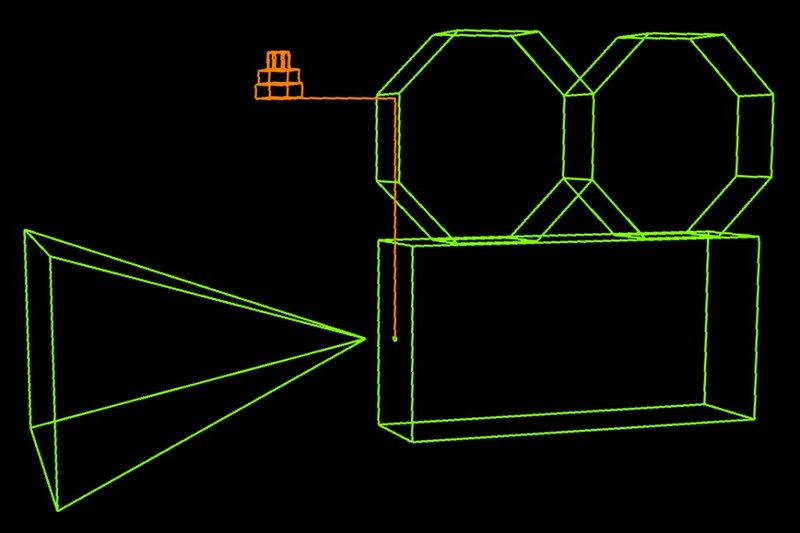 Always check in Previzion’s Observer View to make sure the offset is correct. These measurements are then entered in Previzion, in centimeters. It’s important to know that these measurements start from the IS1200 VisTracker. 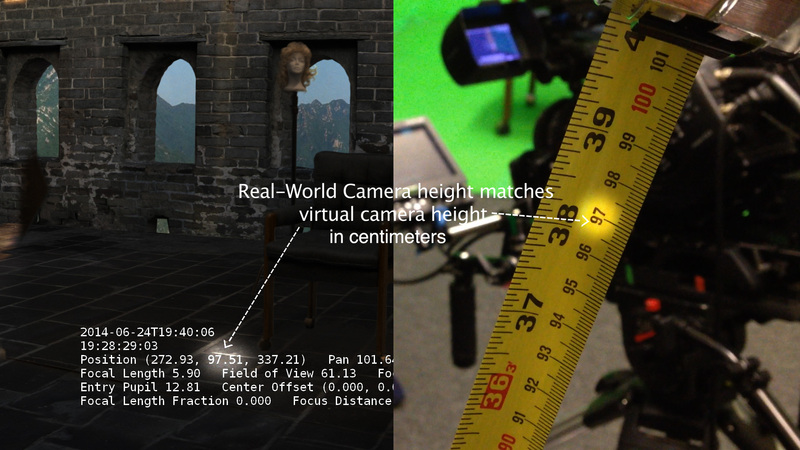 By following the proper survey settings and these offsets, the virtual camera height in relation to the real camera height should match. 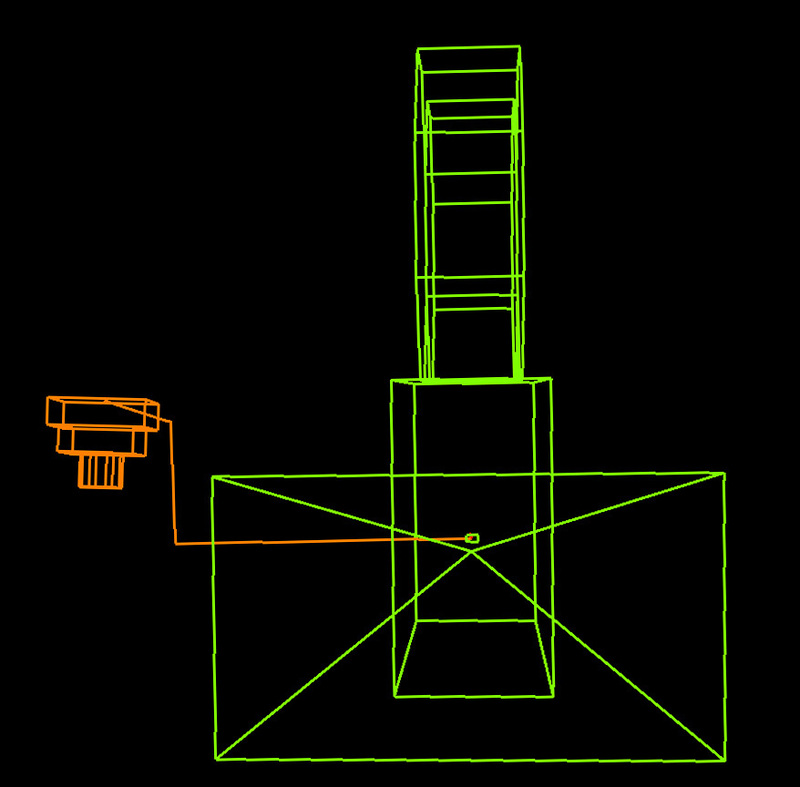 To verify that your vertical measurements are correct, in Previzion, make note of the vertical height of the camera. 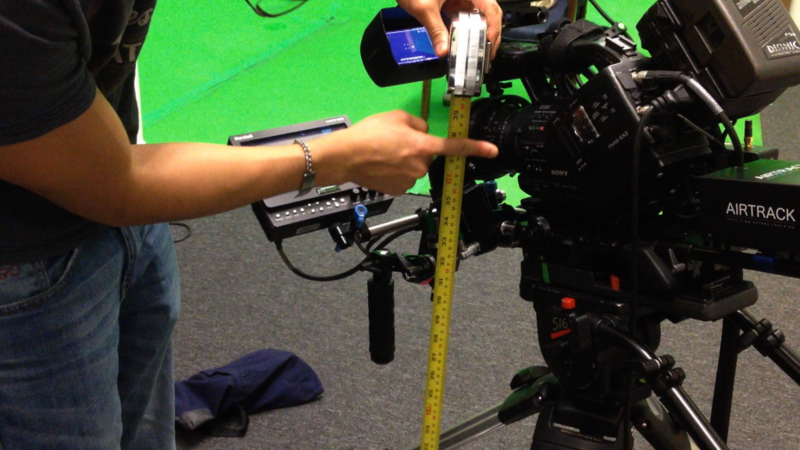 With a metric tape measure, level the camera and measure the height of the camera from the center of the lens barrel to the floor. 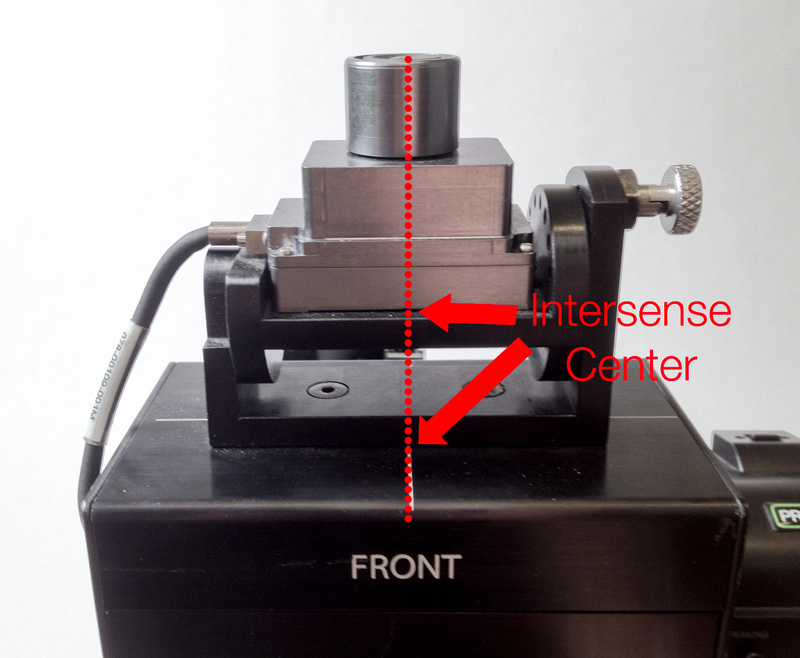 The distance should be within one or two centimeters from Y position shown in the Previzion. If it is off by a long range, there may be a mistake in the axis sign in the Tracker to Camera Offset tab.